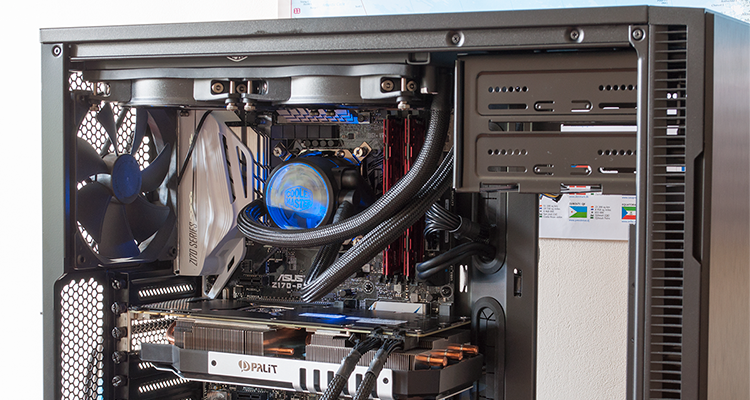 All-in-one liquid cooling took the industry by storm at the turn of the decade when a number of key players helped bring simple water-cooling solutions to anyone preferring not to take the DIY route. The initial batch did exactly that, yet with multiple brands sourcing parts from the same few manufacturers, the coolers soon started to feel a little samey, and the pumps of that time tended not to be as quiet as a traditional heatsink and fan. Fast forward to today and innovation appears to have returned to the all-in-one market. The current crop of user-friendly liquid coolers are sleeker, quieter and able to offer better performance as well as eye-catching looks. We've recently been impressed with the simplicity of be quiet! 's Silent Loop 240mm and if you prefer more jazz then NZXT's Kraken X52 is worth a shout. 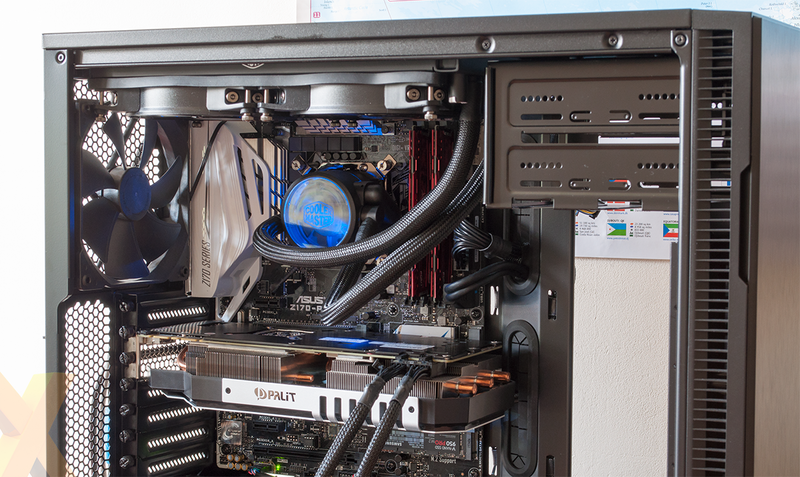 Next on the review table is one of Cooler Master's latest efforts, the MasterLiquid Pro 280. One of the first things to catch our attention is the price. Whereas most modern liquid coolers tend to fetch in excess of £100 for a unit equipped with a 240mm radiator, the MasterLiquid Pro 280 offers more size and can be found for less than £90 if you shop around. 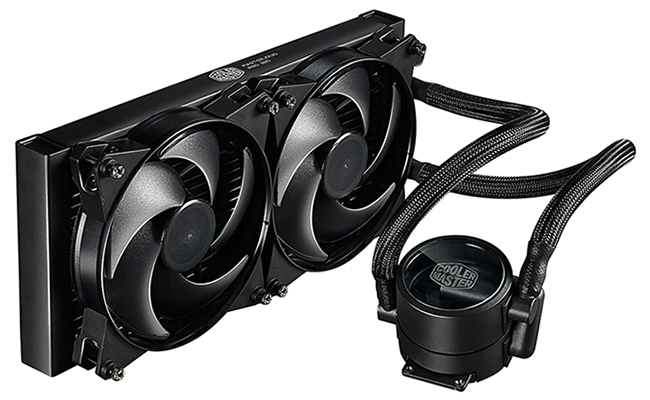 An agreeable entry fee for a 280mm solution and Cooler Master claims to have incorporated a number of under-the-hood improvements. The CPU block, for example, adopts a dual-chamber design where heat-absorbing liquid in the lower section is said to be isolated from vital components in the upper chamber. We've no way of testing the long-term impact of such a design, but Cooler Master tells us life expectancy is improved by as much as 2.5x compared to a traditional layout. 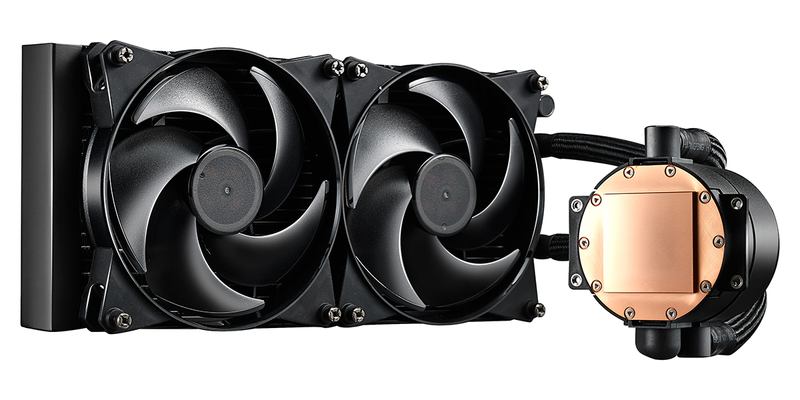 The densely packed copper baseplate offers more surface area for heat dissipation, the pump is designed to run quieter than previous-generation units, and 360mm FEP tubes with an 8mm diameter connect to a 280mm aluminium radiator whose square fins are devised to aid airflow. Providing said airflow are dual MasterFan Pro 140 Air Pressure fans, and to help lessen vibration there are rubber mounts on the screws as well a rubber gasket that can be positioned between the fans and radiator. It's a neat-looking thing that ought to have no problem taming a modern overclocked CPU, yet there are a few quirks that become apparent during installation. Those of you who suffer from OCD will note that Cooler Master's supplied gasket is rectangular and doesn't perfectly fit the supplied fans, having tubing attached to both sides of the CPU block is arguably less tidy than rival solutions, and there's that blue LED in the lid. The illumination is reasonably bright and works well, but there's no option to turn it off and you can't change the colour. If blue isn't part of your theme, you're out of luck. One other potential snag is the switch on each fan that allows you to choose between performance, quiet or silence operating modes. It's nice having the choice, but the switch is on the central part of the fan and, if you choose to orient the cooler in the recommended way - with fans blowing air through the radiator - the switches get lost in the sandwich. Making on-the-fly adjustments therefore isn't an option. Still, installation is for the most part a doddle. Like most all-in-one solutions, the process entails securing a backplate, applying a little thermal paste and then securing the CPU block on top.